California Garden & Landscape History Society is proud to partner with The Huntington in presenting a lecture by CGLHS director-at-large Carolyn Bennett. 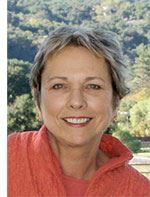 A landscape designer and historian, Carolyn Bennett offers an insightful overview of the historic garden preservation movement. Filled with provocative reflections on the values and management of some of civilization’s most cherished green spaces, this talk will delight novice garden lovers, landscape professionals, and everyone in between!